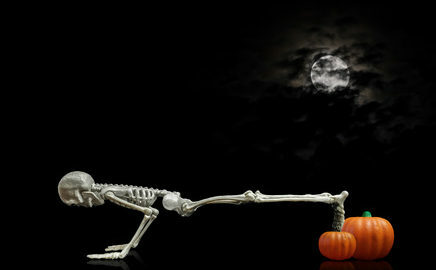 It is that time of the year here in Oakville, where we start seeing the skeleton decorations sprinkling front lawns. On Halloween I’m sure we will also see a few skeletons trick-or-treating. In the spirit of Halloween, we have decided to focus this blog post of some facts about the human skeleton. The human skeleton is remarkable. It provides us with structure and attachment sites for our muscles to help with locomotion. It also helps with the formation of new blood vessels and provides a store for mineral calcium. The adult skeletal system is made up of 206 bone. The skeleton of a newborn baby is made of approximately 300 component parts. It is a mixture of bone and cartilage. This type of cartilage ossifies into bone over time. The hands and feet contain over half of the body’s bones. Each hand has 27 bones and each foot has 26 bones. This makes a total of 106 bones . Bones meet at joints which allow some movement to take place. 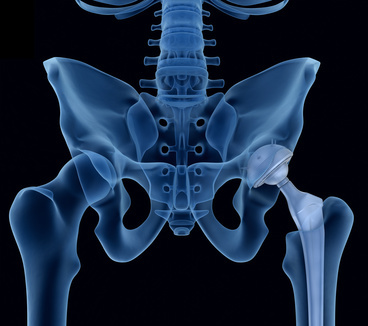 Bones are living tissues that are constantly breaking down and building up. The largest bone of the body is the femur. This is the upper thigh bone. The smallest bone in the body is located in the ear. This bone is called the stapes and is functions in your auditory system. A broken bone is called a Fracture. 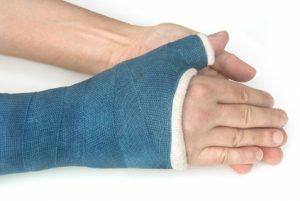 There are different types of fractures that require different amounts and types of stabilization. A Physiotherapist works with people to maintain strength and function after a fracture and to regain mobility and strength once a cast is off. A Physio also ensures gait aids such as canes, crutches and walkers fit a person properly and that they are safe in using them. The female skeleton is generally slightly smaller and the pelvis bones differ in shape, size and angle in order to assist with child birth. They also serve as attachment sites for our pelvic floor musculature. Some women experience injuries during delivery where the muscle pulls from the bone. This is called an avulsion injury. Your pelvic health physiotherapist would work with a women pre-delivery to assist with preparation and is an important ally for a women if this type of injury occurs. Osteoporosis means “porous bone”. It is a caused when the body loses too much bone, or remakes too little bone, or both. This imbalance in bone loss and production leads to bone weakness that may take place more easily (from falls, sneezes, awkward movements). There are a variety of health issues and medications that lead to an increased susceptibility of osteoporosis. Once diagnosed with osteopenia or osteoporosis, a Physiotherapist can assist in providing safe bone strengthening exercises, and balance exercises to prevent falls. You can improve your bone density as a youth and young adult. Participating in regular weight bearing activity such as weight-lifting, hiking, ultimate frisbee etc. is an important component in early prevention. If you are unsure where to start, your Physiotherapist is an excellent resource.